Apple Pay appears to be on the cusp of another European expansion, with upcoming availability in at least seven additional countries. Mobile banking service N26 today on its Twitter account announced that Apple Pay will soon be available in Estonia, Greece, Portugal, Slovakia, and Slovenia, one day after revealing that Apple Pay is coming soon to Austria. Likewise, ING Bank has announced that Apple Pay is coming soon to Romania. Hey André, it's true!  Apple Pay will be coming to Portugal soon, please keep an eye out on our social media for further updates on the release! Ne-ai tot intrebat "pe cand si la noi". Slovakian bank Slovenská sporiteľňa confirmed that it will start supporting Apple Pay later this year, as reported by Zive.sk. 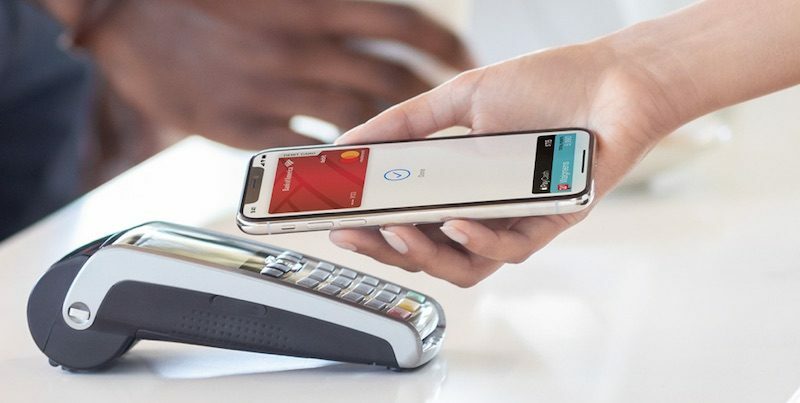 Apple Pay has been gradually expanding across Europe and the Middle East, including Belgium and Kazakhstan in November, Germany in December, and Czech Republic and Saudi Arabia last month. Apple said the service, which debuted in the U.S. in October 2014, will be available in over 40 regions by the end of 2019. Update: Apple Pay is also coming soon to Luxembourg via BGL BNP Paribas. Ok this is getting ridiculous. Like honestly, almost every country in the EU has or is gonna get Apple Pay besides The Netherlands, one of the biggest economies in the EU. What is the holdup? I’ve used Apple Pay using a workaround via bunq here in the Netherlands and have had zero places where I couldn’t use it, so that can’t be it. ING, which is a Dutch bank, supports Apple Pay in several countries so you already have two banks down here who theoretically could support it. Absolutely pathetic that it's not here yet in the Netherlands. I don't know whose fault this is, but I find it quite bad. Yes lets email Tim to ask why it isn’t available in the Netherlands. It’s weird. All our neighbours have it. This is great. I travel frequently to Portugal and even though they have tap payments, Apple Pay fails more often than not. It’ll be good to be able to just carry my Watch or iPhone like I do in Toronto. Wallet Free since 2016. Portugal has a very strong cashless culture with their bank machines a central part of every day life. Apple Pay will do very well there. Applepay. Just another way for apple to get their grubby mitts into your wallet. Paying for stuff the other way was just SOOOO hard. Thank god apple has come along to make our first world lives ever so slightly easier. It seems you don't understand the consumer benefits of anonymized token-based financial transactions. I'm with ABN AMRO and wallet is supported (for ages now) on all Android devices. iPhone not. Bloody joke, mate. [doublepost=1553693607][/doublepost]Personally I think it's an Apple Greed problem. Banks here don't take too kindly to giving a cut to Apple and the Netherlands has the one of the best banking infrastructure in the world and we had PIN payments before most other countries. It's mostly a bank imposed restriction. In many European countries (I don't know about the Netherlands) several banks have their own Mobile Pay alternatives and as a result see Apple as a competitor. It also has to do with buying habits and commissions that banks collect. The story might be different. The payment system in The Netherlands is too efficient. The rates per payment are too low and the penetration of contactless payment is relatively high in NL. This offers very little opportunity for Apple to make a sizeable income in The Netherlands. What I find annoying is: sure, Apple can decide not to roll out Apple Pay in The Netherlands because the margins are too thin. But then at least open up the possibility for Dutch banks to use the NFC hardware. It is quite embarrassing that iPhone users are in the stone age, whereas Android users can pay virtually everywhere with their phone. Luckily it is only a minor convenience, since nearly all bank cards support contactless payment, but it would be really nice if I only had to take my phone with me. The situation is pretty much the same here in NL, at least you can pay contactless nearly everywhere and a lot of people do so. I pay contactless pretty much every day (with my bank card). My Android-wielding friends can pay contactless with their phones. I understand that it takes time to set up all the financial details for something like ApplePay, but it is absurd that they didn't jump all over getting all EU countries set up, if not at the US launch date, at least within a few months. It has now been close to 5 years, just not acceptable. And Apple wants to be in the services business? Really? Pretty sure the fault lies with the banks. Here in Iceland, every single payment terminal is a wireless one and they have been for years. Each terminal also accepts Apple Pay for whoever has access to it through another country but we don't have it available ourselves... But who am I kidding, we don't even have a Books- or iTunes Store. You'd think that a country where most people use iOS devices would have at least access to that.